It’s been a scorcher of a summer so far and every plant in your greenhouse has worked hard to thrive and survive. 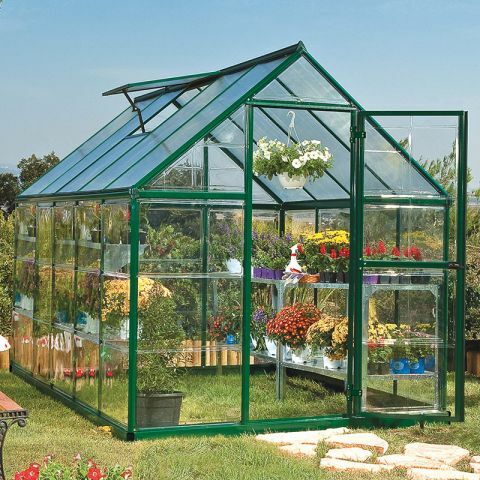 Take some time to get your greenhouse ship shape and carry out those summer greenhouse tasks. When you read ‘bedding’ and think of fitted sheets, pillow cases and duvet covers then perhaps you need to check out the haberdashery department. But if bedding conjures up images of containers stuffed with plants in a colour scheme reminiscent of an explosion in a paint factory, then read on. Bare walls, fencing and obelisks are just waiting for a climber or two. Or maybe three. This little lot will clothe your naked vertical surfaces in no time at all. And that can only be good news. 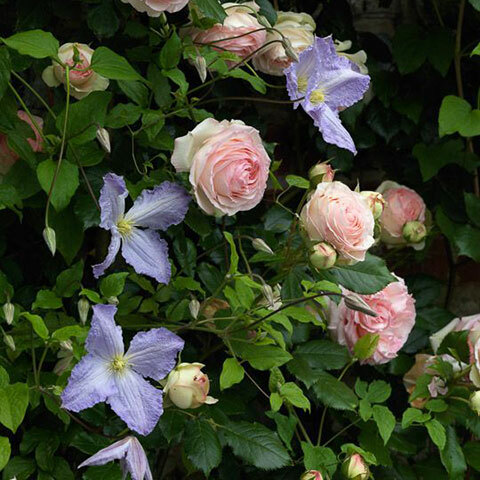 The majority of plants are lovely, friendly additions to your garden. All fluffy, colourful and pretty. Even sweet smelling. Others are laced with danger. 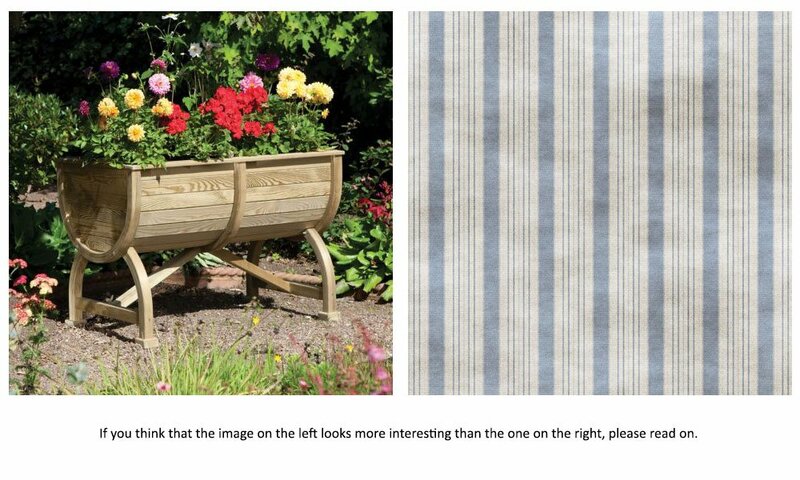 A little bit of research into potential newcomers, and existing incumbents, may reveal a darker side lurking in your beds, borders and containers. 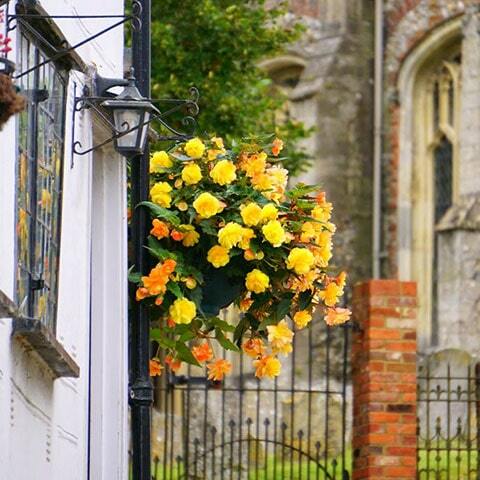 Sure, a stuffed-out, summer-flowering hanging basket in full flow is a joy when hanging from a secure bracket on a well-maintained fence. But once autumn arrives, the plants fade and are consigned to the compost bin, what happens then? Of course, you can replace it with a winter basket. And that will last until spring, then begin to look a little tatty before summer bursts back on the scene. Or...you can plant up one basket to last the whole year round. You’ve done it, I’ve done it - everyone’s done it. I’m on about buying a plant when you know that your garden is full. The plant is delivered and then you have to find a home for it. 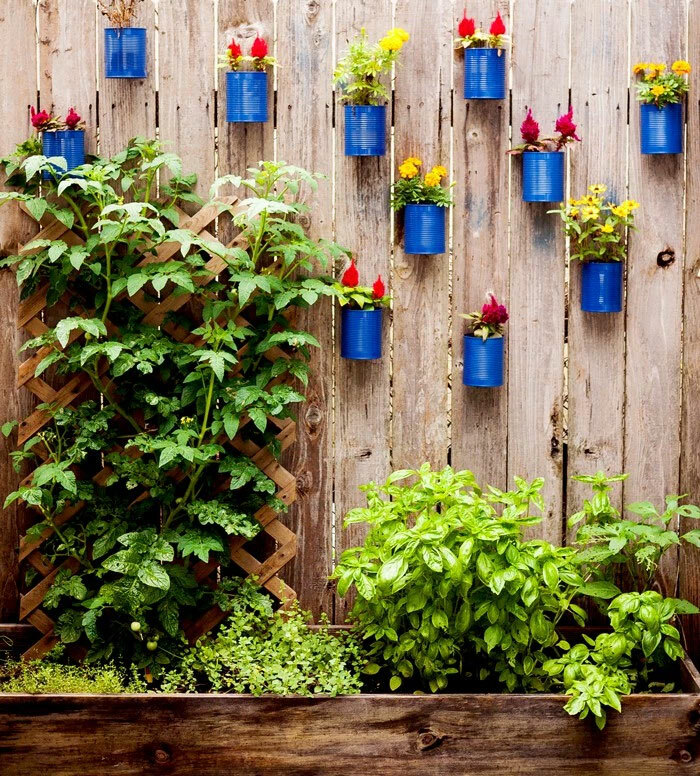 Or you may have a patio garden. All concrete and paving slabs. No greenery to be seen within the confines of your brick enclosure. Someone buys you a plant as a gift. Help! The answer to both these scenarios is, of course, containers. 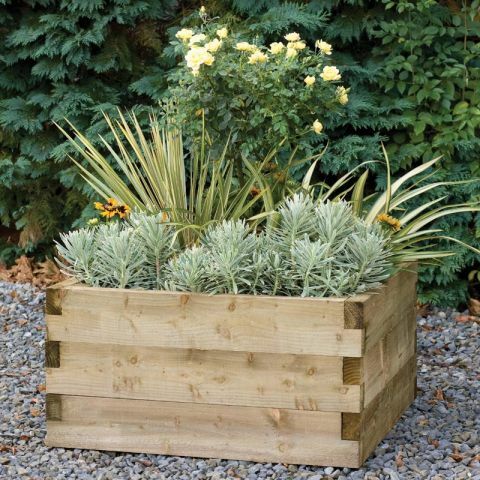 Any plant will grow in a container given a few principles. As children, building dens in the garden was an instinct – blankets across the washing line, cardboard boxes upended and filled with cushions, and hollowed out hideaways under bushes. 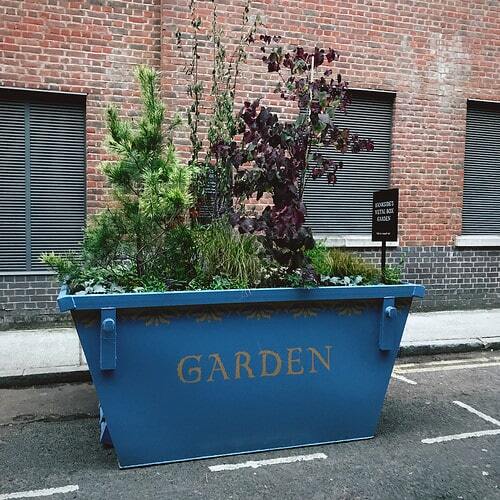 As grown-ups, we have much better ways to create those special places from which to make the most of our garden. When it comes to truly maximising enjoyment of our outdoor space, a permanent garden shelter is simply a must. Easy to erect and near maintenance-free, these shelters offer a beautiful standout garden feature, without significantly increasing our workload. So, which sort of shelter is right for your garden? 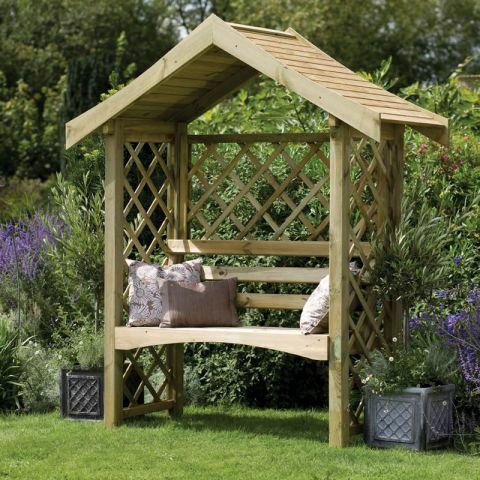 The chances are that it will either be an arbour, pergola or gazebo but, to make an informed choice about which one to purchase, it’s important to consider exactly what you intend to use it for and to understand their different characteristics. Fences are the backdrop for our gardens. Like a canvas, our plants, trees and other garden features create a picture – all framed by our garden fence. There are lots of fence styles to choose from – from traditional overlap fencing to decorative garden fencing styles, such as our Paloma fence panels. Why not take a look at our decorative fencing? Just click here to view our full range. But for some, the usual choices aren’t enough to satisfy their creative vision. If you want to make a bolder statement with your fence line, we’ve gathered lots of creative fencing ideas for how to use your fence to add something extra special to your garden. During winter, there aren’t as many gardening jobs to be done. The ground - frozen solid. The flowers? Long gone. 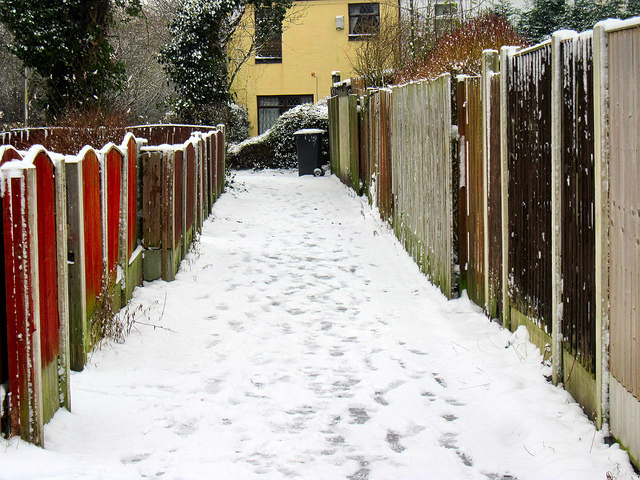 If you can brave the cold, what better time to get outside and give your tired, old fence panels a new lease of life? Firstly, check your panels thoroughly, especially if they’ve been around for a few years. Wicked winter winds could have caused damage: loosening fixings, snapping battens and cracking slats of wood. In a particularly bad storm this could cause your panel to go cartwheeling across the garden – no one wants that! 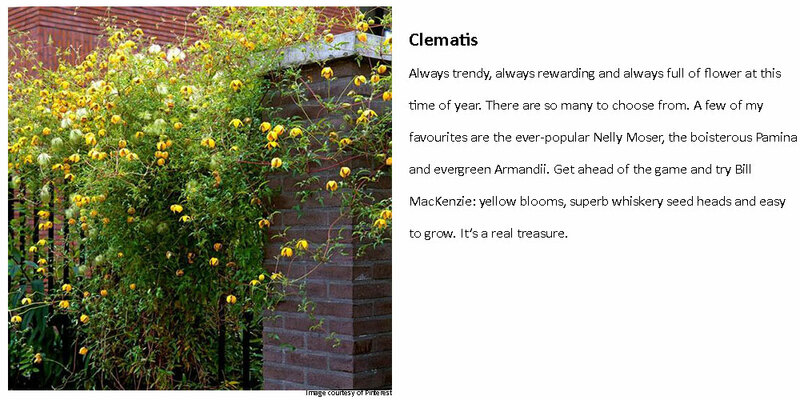 A little bit of sprucing also doesn’t hurt: remove those pesky cobwebs, lichen and weeds. Earlier this month, we caught up with Guy Barter, RHS Chief Horticultural Advisor, about horticulture, wildlife, and his plans for 2017. Check out his interview below. 1. Why is wildlife so important to the horticultural industry? Wildlife in the general sense of biodiversity is important to everyone as our existence is tied to that of other living things. 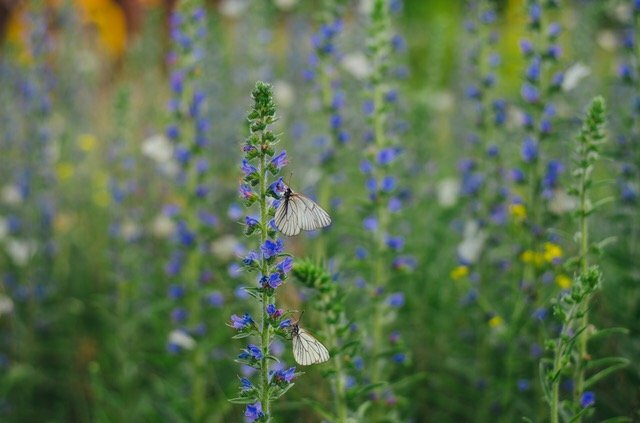 However for the horticultural industry, in particular, there is a sort of invisible help from wildlife that acts to keep populations in check, so unbeknown to gardeners, pest and diseases are generally suppressed to manageable levels by their natural enemies. 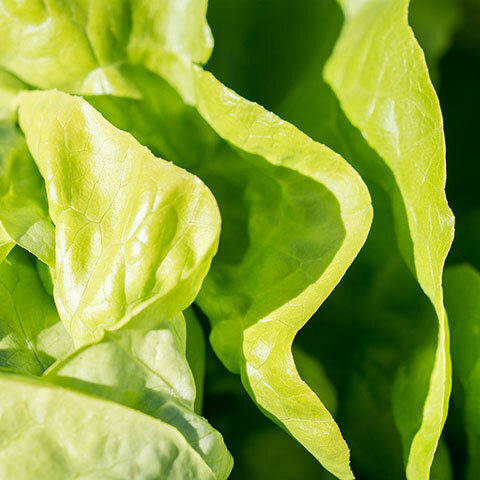 Without these, there would be much more pest and disease troubles.